December 8th, 2015. 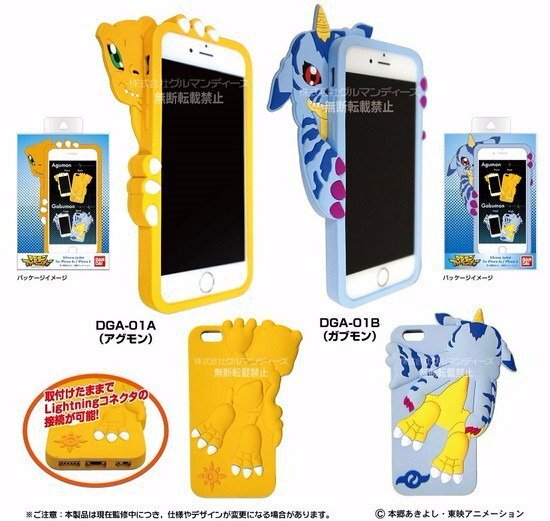 A representative of Japanese web shop Hobby Stock tweeted two upcoming products officially licensed from Bandai, a pair of smartphone cases featuring Digimon characters Agumon and Gabumon with their respective Digimon Adventure Crests of Courage and Friendship. The phone cases are made from silicone, intended for iPhone 6 and 6s models, and have a default price of 3,981 yen (approx. $33 at the current exchange rate). Currently the devices are available for preorder at 22% off through Hobby Stock, and are scheduled to go out in March 2016. Will you like to know about the best website that can help you to design your own phone case in an uncomplicated manner? I will recommend you to visit Made2b.com and learn the right way of creating a custom phone cover easily. Those iPhone cases looks very cute. This kind of custom phone cases looks cool. You can have any design, pattern or picture on it. Thanks for sharing.